Turnkey Packages | Manufacturers of Cooling Towers & Systems | Delta Cooling Towers, Inc.
By offering complete Turn-Key Packages, Delta Cooling Towers, Inc. has the ability to supply our clients with a complete functional system. Our packages are fully factory assembled and tested prior to shipment, guaranting a quick installation and commissioning process. By offering complete Turn-Key Packages, Delta Cooling Towers, Inc. has the ability to supply our clients with a complete functional system. Our packages are fully factory assembled and tested prior to shipment, guaranting a quick installation and commissioning process. 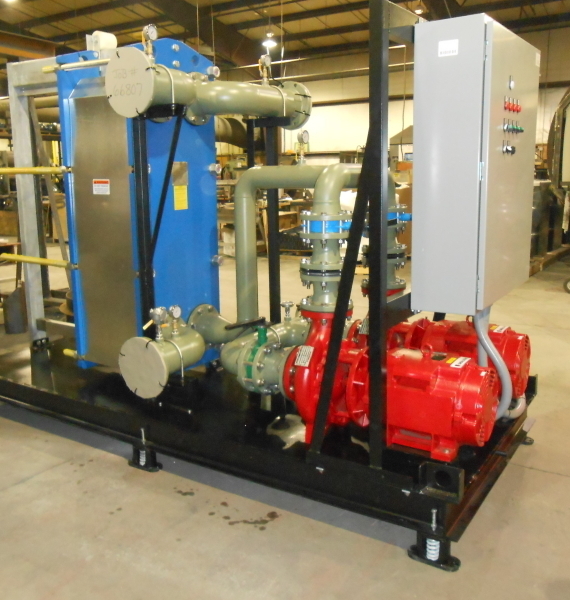 The equipment is preinstalled on a structural skid base with all of the necessary auxiliary components such as pumps, valves, instrumentations, and controls. Each of these items is per-wired and factory tested with the custom designed system control panel. The control panels are typically NEMA 3R and utilize a PLC for each of modification and interfacing with client systems.